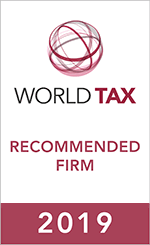 Garrigues Consultores Tributários is part of the Garrigues international network of law and tax consulting firms. In Brazil, Garrigues operates exclusively in the tax consulting field, and is the Brazilian Member Firm of Taxand, a global network of tax firms. Garrigues, through a multidisciplinary team of lawyers and accountants, focus on international tax, deal advisory and M&A tax, as well as in complex tax consultancy for large and medium-size multinationals in a wide range of sectors. Moreover, Garrigues advise on corporate tax, indirect tax and value chain transformation, transfer pricing, administrative tax controversy and wealth tax.